The first booth I visited was of Dokufunk (http://www.dokufunk.org/). They collect QSLs and other information about wireless history for scientific evaluation. 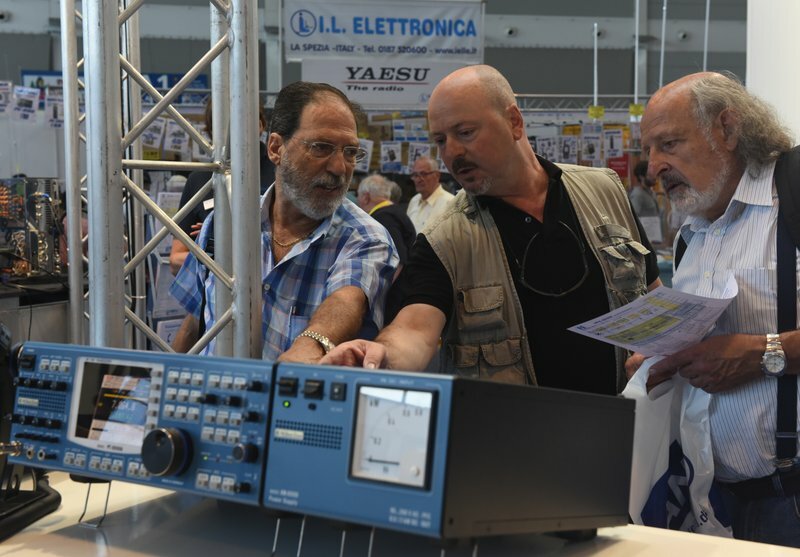 Its head Wolf, OE1WHC, was a moderator for the Austrian shortwave service which does not exist anymore. But ORF still supports Dokufunk. They have a large archive and even the equipment to digitize large quantities if information. I brought them a package of ham radio periodicals, mostly issues of DL-QTC, the predecessor of cqDL, and got some QSPs (magazine of OEVSV) back. I collect those periodicals to gain and provide access. Seehttp://www.dl4no.de/thema/amateurfunk-zeitschriftenarchiv.htm, catalog at the bottom. 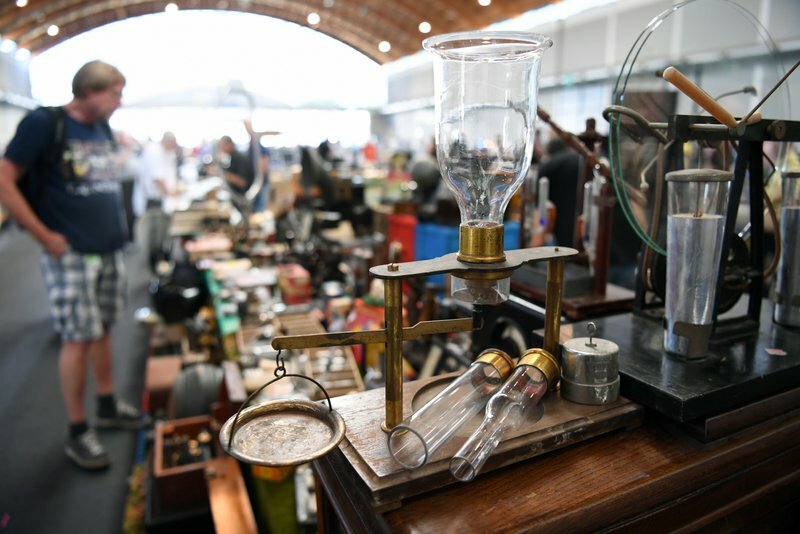 The flea market filled three exhibit halls. If you needed a tube heating for your shack you had a wide choice, from radios to ham equipment to scopes. On the newer side you could get Windows XP packages with the appropriate hardware. 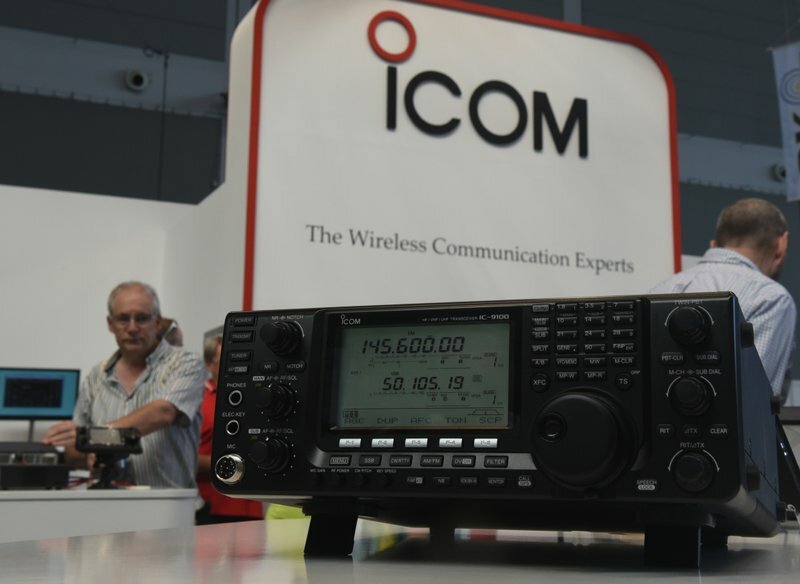 Yaesu, Icom & Co where there, of course. 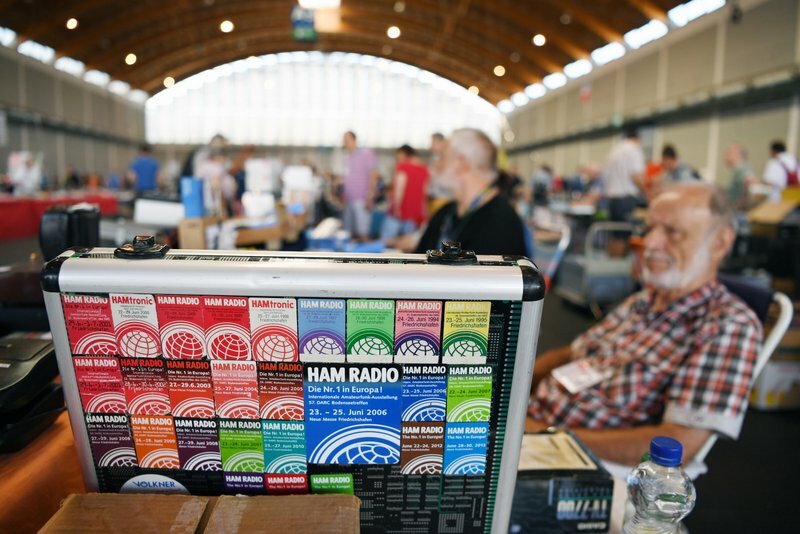 A large part of Hall 1 had booths for most of the European ham radio societies and other entities. 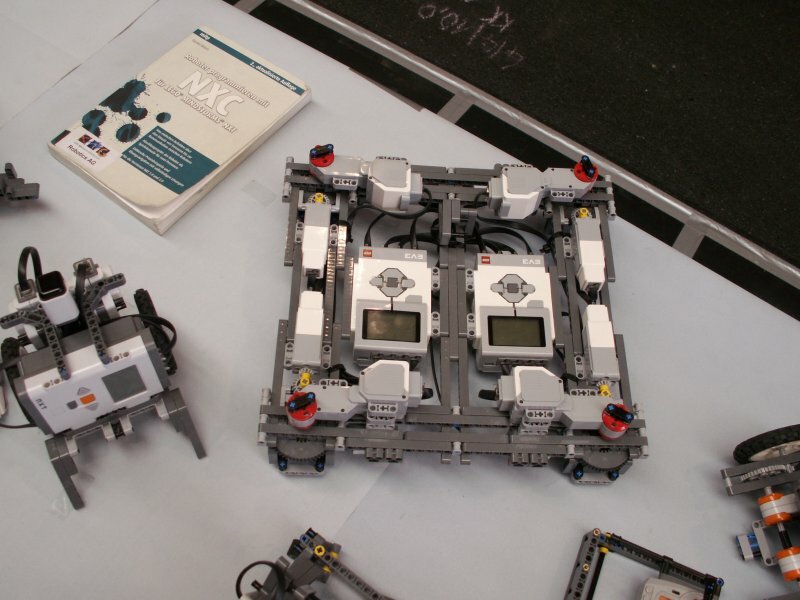 Several attractions for the youths were there: A fox hunt around the hall, possibilities to solder simple circuits and more. The exhibit center even provides a kindergarden. 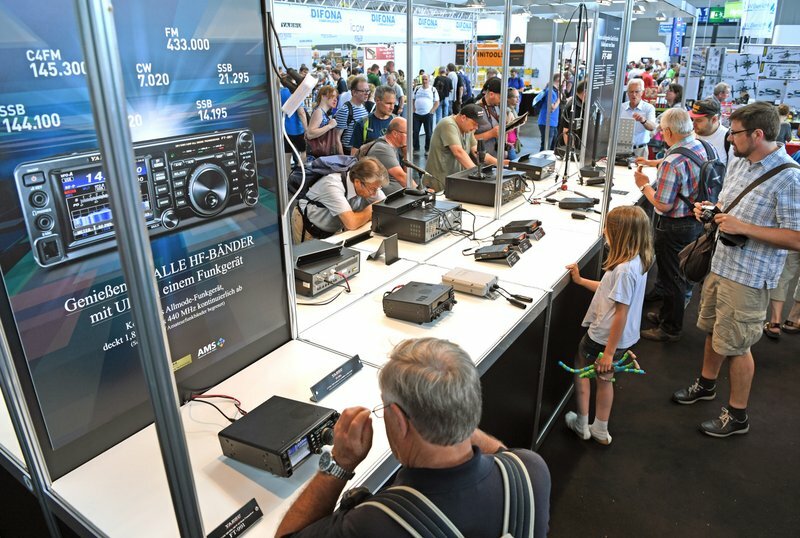 Hamradio had lots of presentations. The “SDR Academy” run all over Saturday – completely in English. See http://www.sdra-2016.de. Last year’s presentations are on Youtube. Search for “SDRA-2015”. My presentation was titled “HAMNET On 70 cm – Possibilities and Limitations”. I should explain that HAMNET is our way to use the 44.0.0.0/8 TCP address space reserved for Ham Radio use. 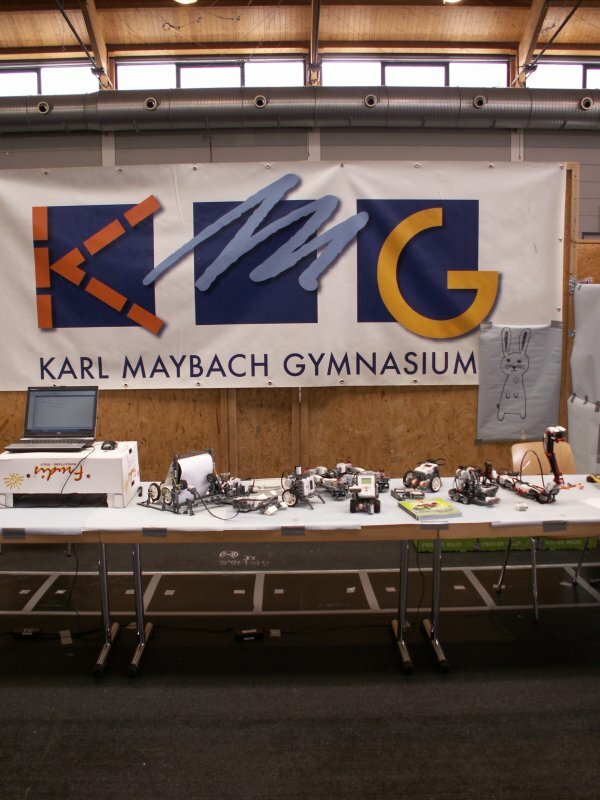 Starting in Germany and especially Austria we use more or less standard WLAN equipment to build a ham radio intranet. User access is mostly on 2.3 GHz and links on 5 GHz. Where we have gaps in the wireless coverage we use Internet wormholes. This way you can access for example packet radio sites in Canada. See http://hamnetdb.net. 2,3 GHz and up means exclusively line-of sight connections. Quite some OMs cannot reach access points this way. The only alternative up to now has been VPN connections through the Internet. I think we could provide relatively fast access on 70 cm. Here in Germany we have two 200-kHz channels for such uses. They were defined in the 1980s for packet radio access up to 76 kbps. This technology is next to dead. Theoretical calculations show that we could provide up to 1 Mbps and cover up to 50 km if we use modern modulation schemes. You could even improve throughput by making TCP/IP less gossipy. I proposed to use SDR blocks like HackRF or LimeSDR and combine them with a RF frontend (filter, preamp, PA, fast switching). The hardware is more or less readily available, but this is mostly a software topic. 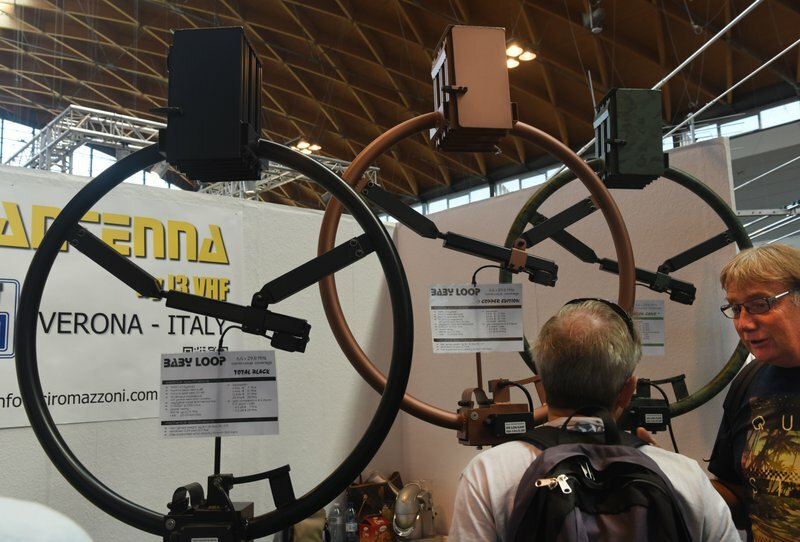 While HAMNET relies on standard WLAN equipment with all its limitations for ham radio usage, this system could be completely open. We could it adapt to all our needs and ideas. In the end we could port it back to the microwave bands. Even if we only work on the lowest protocol levels this will pose quite some challenges. We would need programmers with quite varied expertise from TCP/IP protocols to SDR technology. My presentation was to attract such people. Personally I will not program anything. As a technical writer with a quite wide expertise I might be a bracket for the project and write documentation for it. At the opposite end of the exhibit center another fair went on, called Maker Faire. 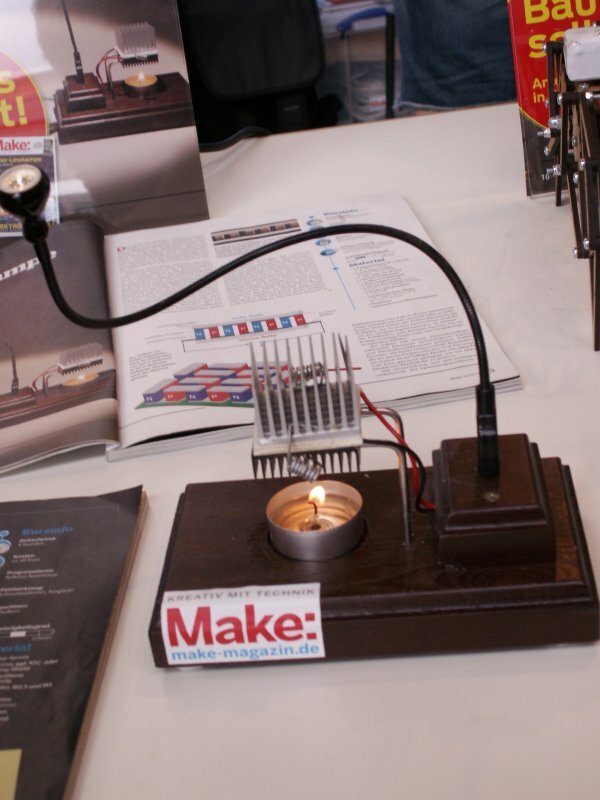 In former times you would have called it “make it yourself”. 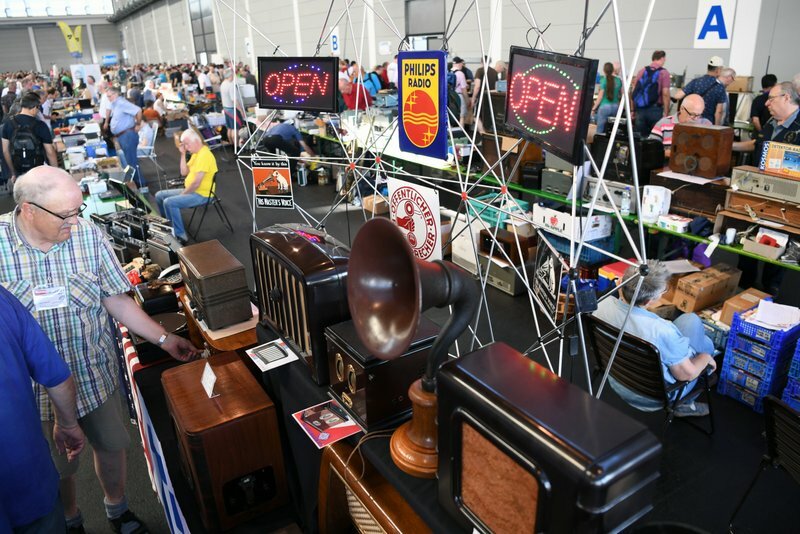 The exhibits there went from computer modding to 3D printing, knitting and also ham radio. For this I modified my presentation a bit: “WLAN Below 1 GHz – Do You Want To Program For It?” The technology I talked about is near hot topics like Internet of Things or traffic telematics. 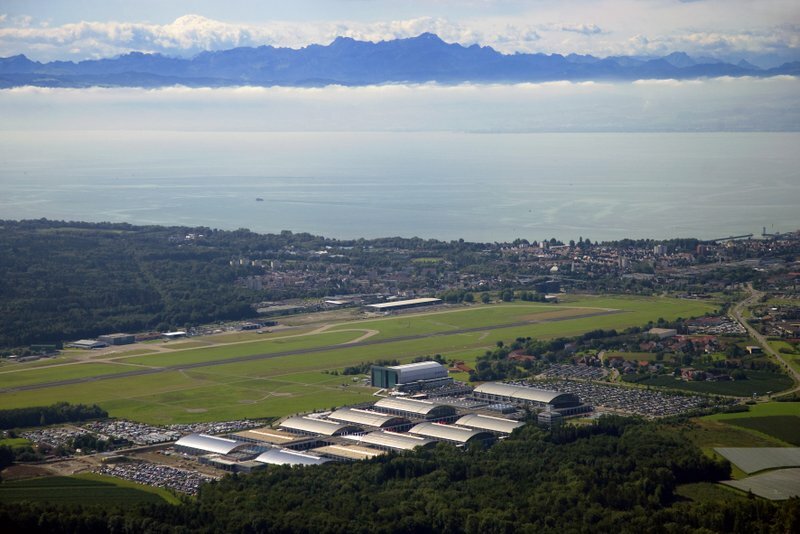 Thanks so much for sharing your notes from Friedrichshafen, Alexander. I look forward to attending one year myself! I’m fascinated with the fact that the bulk of the event is indoors–what an incredible venue. 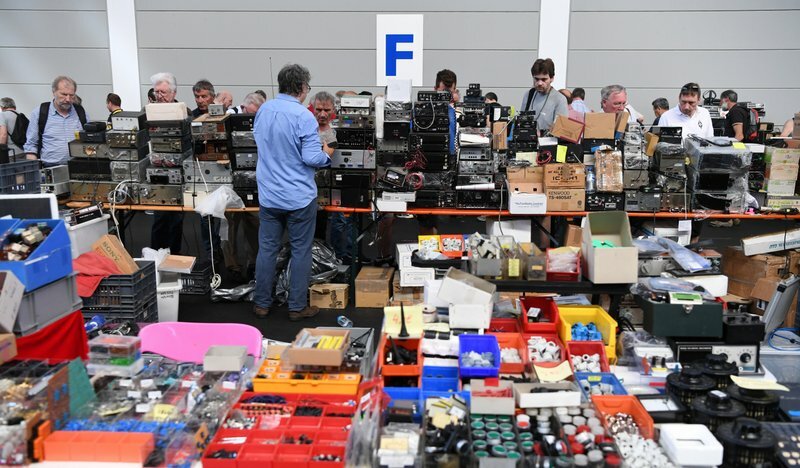 Any other Post readers attend Ham Radio Friedrichshafen? Please comment! 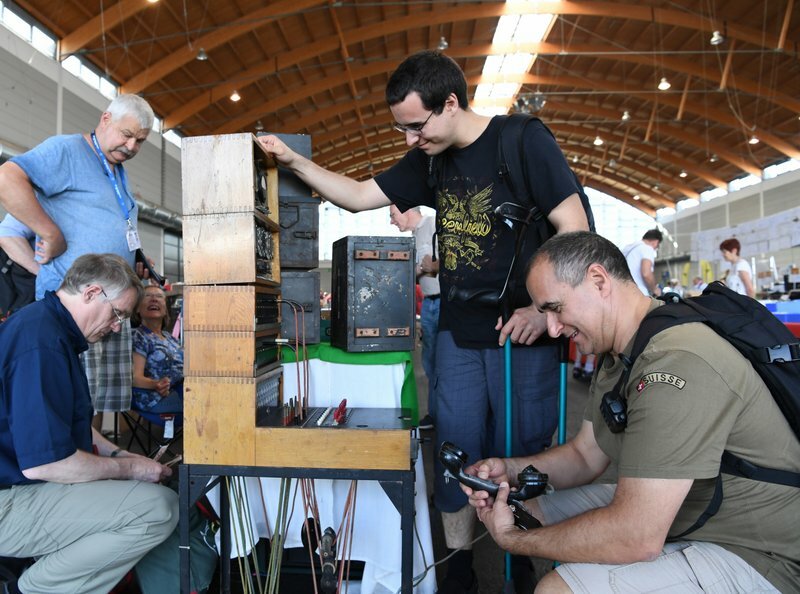 This entry was posted in Guest Posts, Ham Radio, News, Shortwave Radio and tagged Alexander von Obert, Alexander von Obert DL4NO, Friedrichshafen, Friedrichshafen 2016, Ham Radio Friedrichshafen on June 30, 2016 by Thomas. 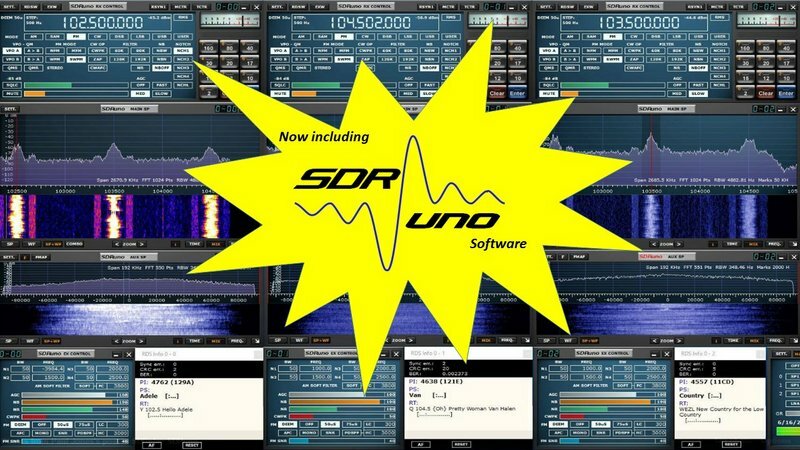 According to the SDRplay blog they will be hosting a series of Webinar events centered around the RSP and SDRuno. Starting this Saturday. We will be hosting a series of Webinar events centred around the SDRplay RSP and SDRuno. These events will be streamed live, but will also be recorded and hosted on our website for those that are unable to attend. The first event is scheduled for this Saturday (2nd July) at 16:00 UTC – we will give some background to SDRuno and explain it’s core functionality and what the future holds for its development. It will be fairly informal and interactive, we will try to answer as many questions as we can. We will try to stick to a timeframe of about 45 minutes to 1 hour maximum. This entry was posted in Current Events, News, Shortwave Radio, Software Defined Radio and tagged Mike (K8RAT), SDR, SDRplay, SDRuno, Software Defined Radio on June 30, 2016 by Thomas. Our July 5 (July 4 in the Americas on WBCQ) program includes special guest María Felicia Pérez, director of Coro Exaudi, winner of the Choral Music category in Cubadisco 2016. We’ll also play some Popular Dance Music by Dinza y Soneros de la Juventud, nominated in the Popular Dance Music – New Talents category and some of Guilty Pleasure by Alexis Baro, which was nominated in the Jazz category in Cubadisco. 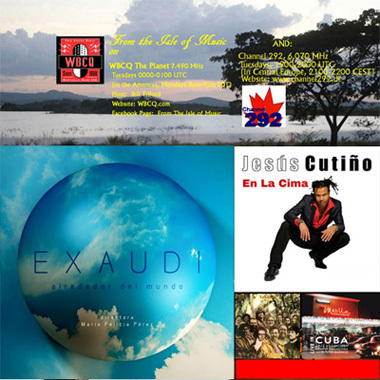 Also, some new music by Eliel Lazo and the Cuban Funk Machine and the Pedrito Martínez Group. See the NOTES section of our Facebook page for more information. This entry was posted in Uncategorized on June 29, 2016 by Bill Tilford. 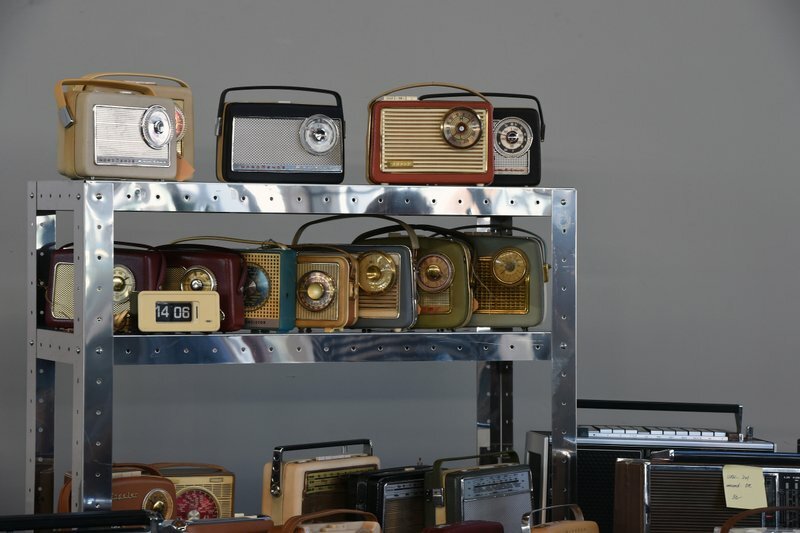 The following piece regarding Radio Australia caught my eye last week. It was authored by Hamish McDonald and appeared in the 18 June 2016 edition of the Saturday Paper. Our mole at the ABC tells us new managing director wants to pull back from the embrace of the Chinese Communist Party’s Publicity Department, as the Ministry of Propaganda is known. In her first meeting with the board on June 9, Guthrie questioned the value of the ABC’s Chinese language portal, AustraliaPlus.cn, which has been pinged by the ABC’s own watchdogs for pulling awkward content to avoid displeasing the CPC. I also spotted a reference to this meeting of the new ABC MD in a previous issue by another columnist which seems to be outside the paywall. Click here to view. Many thanks, Phil, for sharing this! As I’ve mentioned before, Radio Australia is a staple source of news for many. I hope Guthrie does, indeed, re-focus on their international content and all forms of delivery. This entry was posted in Broadcasters, International Broadcasting, News, Shortwave Radio and tagged ABC, Australia, Michelle Guthrie, Phil Brennan, Radio Australia, Radio Australia Shortwave on June 29, 2016 by Thomas. In July PCJ Radio International will present a special two hour program called From the Radio Netherlands Archives. The special program will broadcast material from the Radio Netherlands archives that has not been hear since it was originally broadcast. Material will be from 1947 to 1995 and will include some rare material. Rare material will be from Jerry Cowan, Dody Cowan, Harry van Gelder, Eddie Startz, Tom Meijer and many others. Also included will be rare performances recorded at the wereldomroep of some internationally known artists. The program will be presented by Paulette MacQuarrie; producer, editing will be Keith Perron who will also do the prologue. This will be the first of a number of specials. Listeners who write in will also get a special e-QSL. 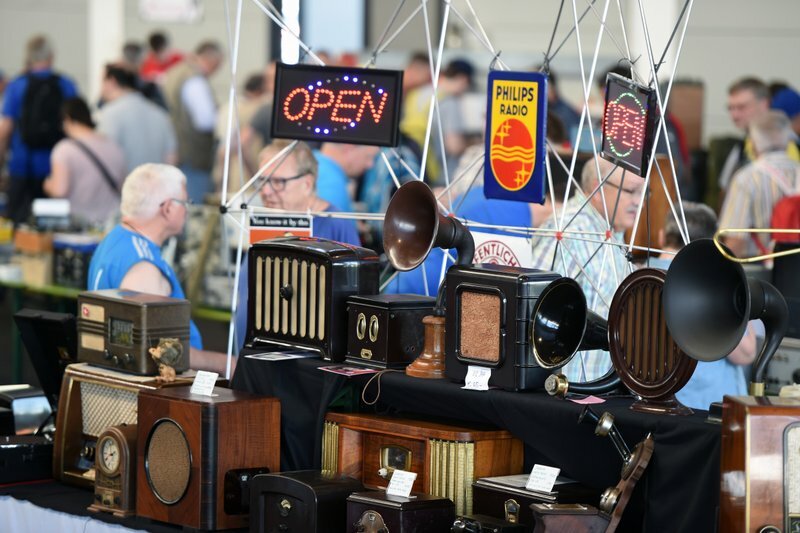 This entry was posted in News, Shortwave Radio, What's On Shortwave and tagged PCJ International, PCJ Media, Vintage Radio Netherlands on June 29, 2016 by Thomas.